Poland, as it exists today, is a relatively modern construct, having its last restructure of its boundaries shortly after the Second World War. The current boundaries of Poland encompass areas that have had a long Polish heritage as exemplified by Krakow and Warsaw, as well as lands which were historically German and ceded to Poland after the Second World War, such as Silesia and the north west of Poland, encompassing towns such as Torun and Gdansk. Our travels through this land show us the rich historic architectural inheritance of this land as well as allowing us to be witness to modern history which demonstrates the resilience of a people that refused to disappear. Krakow is a Baroque jewel and a UNESCO World Heritage Site, situated on the Vistula and dominated by the Castle complex on the Wawel hill overlooking the city. This city survived as an outpost of Poland after its partition by Prussia, Russia and the Austrian Empire. It maintained its language and customs and was the educational and cultural core of Polish identity. Poland’s first university, the Jagellonian, was established in Krakow 1364, the second oldest in Central Europe. Within the metropolitan precincts of Krakow, there is the UNESCO site of the Wieliczka Salt Mine, the largest of its type in the world, which today functions as a tourist attraction due to the chapels and statutes carved into its walls by workers in the mines. Just a short trip from Krakow is a place that bears witness to the worst excesses of human nature, the Auschwitz-Birkenau Camp memorial and museum. A sobering place which challenges us and causes us to pause and reflect on nature of good and evil. Following the Vistula north, we visit Warsaw. The capital of modern Poland, this place more than any other place demonstrates the sheer doggedness and resilience of the Polish people. It is hard to believe as we wander through the UNESCO listed Old Town, the wanton destruction that was visited on this place by the German armed forces at the end of the Second World War. We relive the Warsaw Uprising as we wander through the streets and admire the determination of the Polish spirit to rebuild this shattered city into the place it is today. It is impossible not to marvel at the detail with which the Poles rebuilt the heart of Warsaw. Our visit to the various parts of this town, the palace, churches and monuments will help us appreciate this national spirit. Warsaw is a vibrant, modern metropolitan city, ringed by parks, some of which were old hunting grounds of the Kings of Poland. 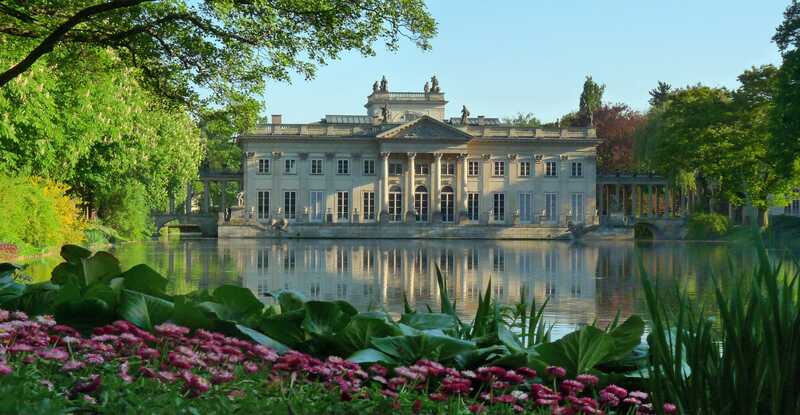 We spend a day at one of these parks, the Royal Lazienki Park, comprising 76 hectares and a setting for palaces, villas, follies and monuments. A popular place for locals and tourists alike but large enough not to feel crowded. Wandering through the grounds and the buildings takes us through the span of centuries that in a microcosm reflects the history of Poland. As we travel further north, following the Vistula north to the North Sea, we stop at Torun. 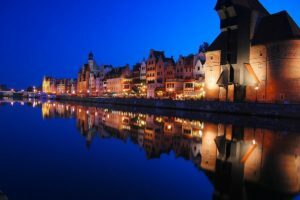 This town, also UNESCO listed and birth place of Nikolai Copernicus, introduces us to the Hanseatic League, that great chain of trading towns that stretched along the North and Baltic Sea coasts. The architectural style is completely different from what we have seen and savored further south. Here we have a place that built with red brick. Monumental churches and public buildings adorn Torun reflecting its days of wealth as a Hanseatic trading town. The atmosphere and cuisine are quite different influenced by the long German / Hansa traditions of this area of modern Poland. Emphasizing this past is the visit to another UNESCO site, that of the Malbork Castle complex, the largest castle in the world as measured by land area. Home to the Order of Teutonic Knights, it was from here that they ruled their possessions. It is a complete town in itself, consisting of three separate castles separated by a complex of dry moats and towers and is a textbook example of a medieval fortress. We end our time in Poland at the Hanseatic port city of Gdansk (Danzig). Gdansk, in modern history was host to two events which had repercussions through the entire world. It is here that the Second World War is considered to have started with the bombardment of the Polish garrison at the Westerplatte fortress by the German battleship Schleswig-Holstein and it is here, at the Lenin Shipyards that the Solidarity Union movement emerged that was to lead ultimately to the end of the Soviet Union. Although heavily damaged during the war, the city still boasts a significant architectural heritage of its Hanseatic past, including Saint Mary’s Church, the second largest brick church in the world. The new Museum of the Second World War is also a striking building and its advanced inter-active technology brings the visitor into the story in a way few other museums are capable of doing. This is modern Poland, a modern country with an ancient history, a people that have overcome unbelievable hardships, a place where events that touched all of our lives have occurred. A country of brick and stone with an architectural inheritance and treasure that cannot but leave the traveler impressed.